Cisco's (and competitor's) intent-based networking should reduce network cost and complexity for supporting ever-increasing real-time applications. 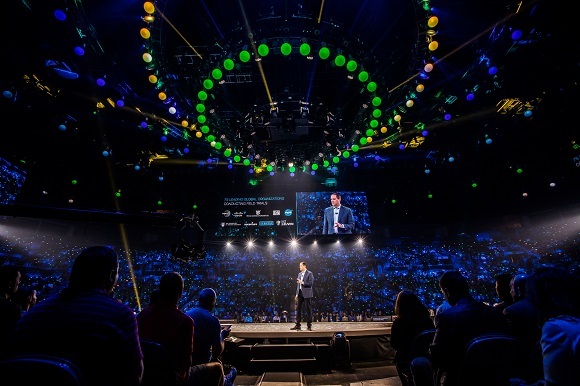 As you may previously have read on No Jitter, Cisco last week introduced its intelligent network offering, dubbed "the network intuitive." The core concept is to make networks application-aware, enabling them to recognize, prioritize, and manage applications in a highly automated fashion. The end result, Cisco argues, is that networks will be better able to support business applications (and outcomes), require less management resources, and achieve a higher level of security by being able to recognize and react to abnormalities. The Catalyst 9000 switch, also introduced last week, makes the network intuitive possible. The switch features an on-board processor able to run management, security, and data analysis applications, configured via Cisco's DNA Center management and orchestration engine. Cisco's approach is similar to that of Apstra and others offering intent-based and software-defined networking. Executing on the ability of software-defined networks (SDNs) to use APIs to speak directly to applications, Cisco aims to ensure that appropriate network resources are available and properly provisioned. Cisco takes these concepts a step further by applying data analytics and orchestration elements to support real-time traffic and application analysis. Cisco's approach also expands on DevOps concepts by enabling those responsible for building, deploying, and managing applications to integrate the network into the application development process. Rather than focusing on network operations and provisioning by looking at things like bandwidth, jitter, and latency, application developers can, in theory, directly extend their applications to speak directly to the network and obtain sufficient resources to guarantee performance and ensure resiliency. The idea of intent-based networks has a significant impact on those responsible for real-time communications and collaboration applications. By automating provisioning, troubleshooting, and security, organizations should be able to deliver improved performance for real-time apps while also speeding up the troubleshooting of performance-related issues. Of course with any new technology, this one comes with challenges and concerns that IT leaders ought to be aware of as they evaluate Cisco's (and competitor's) offerings. What happens in a mixed vendor environment? It's not unusual to see Cisco in the core and data center and, say, HP/Aruba wireless or other types of switches at the edge. Nor is it surprising to see mixed Cisco/VMware private-cloud scenarios within the data center. Will taking full advantage of the network intuitive require end-to-end Cisco, or will Cisco partner, and integrate, with other providers of network infrastructure, SDN, and virtualization to deliver intent-based networking benefits in multivendor environments? Where do the WAN providers fit in? Cisco's recently announced plans to acquire SD-WAN platform vendor Viptela will enable it to support its intent-based networking capabilities across any underlying WAN service. But service providers like Aryaka, AT&T, and Sprint are building or delivering their own intelligent, application-aware network capabilities designed to recognize applications and automatically provision sufficient network resources to meet performance requirements. Do these providers simply become dumb-pipe providers, or will Cisco federate its networking capabilities with service provider partners? How do you set policies? Past efforts to have apps speak directly to networks -- via QoS requests, or even all the way back to the mid-2000s when policy-based networking meant using the Common Open Policy Service (COPS) protocol -- ran into trouble when organizations faced the political challenges of determining what applications to prioritize over constrained network resources. In addition, network operators are often wary about allowing applications to control the network for fear that a misbehaving application will negatively impact others. Automating this provisioning is again likely to require some sort of process, and intelligence, to determine which business-critical applications are really the most important, especially again where network resources may continue to be constrained, such as in branch offices or under-served parts of the globe. These challenges aside, Cisco's push into intent-based networking is a positive development for organizations increasingly struggling to support the rapid growth in network demands created by rising use of videoconferencing, video streaming, content sharing, and virtual collaboration. As the Internet of Things brings even more network devices, all clamoring for resources to meet their needs, the old way of provisioning VLANs by assigning groups of endpoints and engineering them with appropriate QoS, simply doesn't scale. Intent-based networking, software-defined networking, automation, and intelligent management will all become required tools to support digital transformation now and in the future.